Last few months have been the worst time of my life. Every moment I felt as if somebody would shook me up and I would realize it was all a nightmare. I don’t remember when was the last time I smiled, had a deep sleep, listened to music and felt good, ate because I was hungry or because I was tempted to eat something, did something fun, watched a movie, talked to anybody because I wanted to, or went out to explore. It’s conceivable that I am not a happy girl or may be somebody who is immensely depressed. When we don’t find answers to our questions in the present, sometimes it’s better to dig in the past where our childhood mind rooted happiness which eventually weakens till the time we reach our adulthood. Recently I was looking at one of the albums of my childhood pictures and it oozed out numerous long forgotten memories. While playing with my brother at the age of ‘I barely remember’, I once bumped my head on the window pane and fainted, when I regained consciousness, I was in a hospital and the doctor was stitching my wounded forehead. I started screaming for help against that evil doctor who was causing me pain with those needles. Then a lady came as my saviour and the doctor stopped and she took over. Mom said she was a ‘nurse’ and she became the superwoman I wanted to be when I grew up. Few days passed and the influence of superwoman faded away. In the year 1994, Aishwarya Rai, an Indian woman won the crown of Miss World. Awed by her elegance and poise, my wild heart weaved a new dream and my independent mind decided to live it. So, I ended up dressing like miss world in a school competition and won third position. As a kid I played the role of multitudinous characters. Characters my heart desired to be and my mind made me that. Someday my gypsy mind was a girl praying in the balcony to win a boon from god, after watching a mythological tv series episode, someday I was headstrong Lara Croft of Tomb raider or a rockstar after watching any music concert or a traffic police who superintended hundreds of vehicles each day. My vagabond heart painted colourful dreams on the blank canvas and my mind made it come alive. Living the past memories one more time I realised, life or predicament don’t make us what we are, what we think about ourselves is what we actually are. We don’t have control over actions happening around but we do have control over our reactions to them. A lot of things, a lot of people, circumstances triggered to what I am dealing with these days but to live it like a bad dream and impel myself to suffer by limiting my heart from desiring anything, somewhere has been my choice. Going by my childhood trend, what I thought is what I have become. We all are born with a boon of being whatever we want to be; a mind capable of making us anything we choose to be. So, today I choose to live a life again by playing the role of a happy woman. 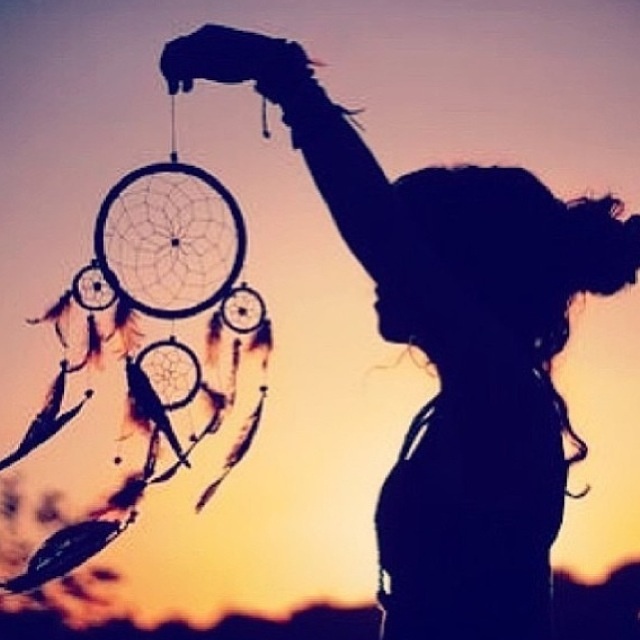 I decided to let my independent, vagabond mind be the dreamcatcher and in return it let me believe, no matter how bad the nightmare is, it will consume it to nothingness and let me be a Happy Dreamer, Always! Wonderful write, Snigdha. The last paragraph is really uplifting. Best wishes, Amitav. yes, to happy dreams! nothing worldly can ever be more delightful! you are welcome…. and the comment sprang up from the wonderful poem you wrote! Oh yes, I hear you. I also have a difficult time not dwelling on the dark. I’ve gotten better, but it’s tough sometimes. You’re more than welcome Snigdha. I had a nice weekend, although tired. Dreams aren’t all bad.. Make the positive ones happen! I forgot to ask,who is Ramon? You address all your posts to him.. Was he a first love? Ah.. A bit like a guardian angel that has been with you from birth? I think I understand.. I can feel your heart in this post. There is freedom in understanding that control is realizing that you have no control and you stop trying to control. Then the strings that keep you in the puppet show fall of and you become a real person. How beautifully you interpreted my post. Thanks a lot for your wonderful comment.